​​​​​​​The demise of Shimon Peres unleashed a tidal wave of mendacity & hypocrisy that underscores the dominance the delusional dictates of political correctness have over political discourse in (and on) Israel. In the past two and half decades—almost a quarter-century—truth has always been, at best, incidental to much of the manner in which the political discourse in, and on, Israel has been conducted. More often than not, political truth was surrendered as sacrificial offerings on the altar of the omnipotent deity of political correctness—regardless of how far the precepts of the latter diverged from those of factual correctness. 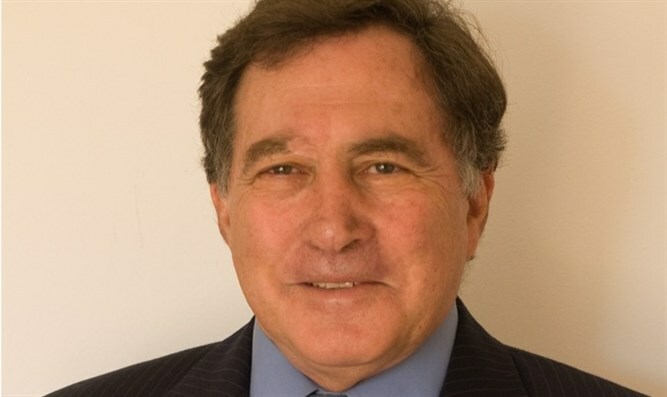 However, in the past ten days, since the sad demise of former President Shimon Peres, it seems the floodgates of falsehood and fabrication have been opened even wider than usual, resulting in a veritable deluge of drivel—distorting the nation’s past, disregarding present perils it faces and dismissing its future prospects with dread prophesies of impending doom. Every endeavor at appeasing Palestinian-Arab demands, no matter how gruesome the results this precipitated, were applauded as far-sighted statesmanship. Any show of resistance to such demands were disparaged as short-sighted political partisanship; any skepticism as to consequences of complying with them, were denigrated as narrow-minded nationalism, any warning that caution should be exercised before accepting them was disparaged as radical right-wing rejectionism. Any suggestion that risks entailed in acceding to them should be thoroughly assessed were dismissed as extremist scare-mongering. On the one hand, the discourse has been dominated by an approach that insists on making future Israeli concessions—no matter how fruitless (indeed, counter-productive) past concessions have proven. Moreover, it persists in trivializing all past concessions—no matter how far-reaching these have been—and no matter how calamitous the consequences they have culminated in. On the other hand, the intransigence of the Palestinian-Arabs, and their naked Judeocidal bloodlust, whose lethal consequences have hitherto been constrained only by the physical limitation on their practical capacity to murder and maim Jews, have been met with expansive understanding—even empathy—seldom, if ever, to be mentioned as the cause of conflict. Indeed, in the dominant political discourse in/on Israel, it would appear that abject appeasement has become the sole yardstick for statesmanship—at least, where Israel is concerned. Much of this mindset—of the need for Israeli consideration for its enemies’ positions, coupled with total disregard for their incandescent anti-Israel hatred—was reflected in the eulogies at Peres’s funeral last Friday. 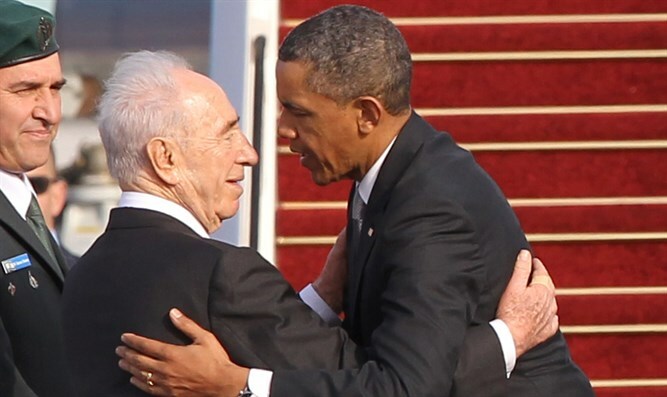 Thus Barack Obama claimed “I don’t believe he was naïve” when it was clear that “naïve” was the most charitable characterization of the policies Peres forged in the last quarter-century of his life, and which proved so disastrously detached from reality. Obama continued: “… he understood from hard-earned experience that true security comes through making peace with your neighbors”, seemingly totally oblivious of the fact that nearly all previous land-for-peace endeavors have left Israel in a more precarious position than ever before, and its civilian population commensurately more exposed to attack—despite the fact that the prospect of a conventional military threat has receded significantly. Indeed, this is such an illusionary, rather than visionary, pipedream that even Peres’s protégé and devoted acolyte, former, MK Einat Wilf, a dedicated two-state adherent herself, recognized that Israeli victory, or at least Palestinian defeat, is a precondition for peace. “…the region … turning somewhat less hostile”? With the Sunni Islamic State, on the one hand; and the Shia Islamic Republic, on the other? True, the conventional threat from several Sunni state-actors has diminished for the time being, only to be replaced by the arguably even more menacing specter of fanatical non-state actors, with quasi-state capabilities and global reach, as well as the Obama-facilitated threat of a nuclear Iran. “…brokered careful understandings between former sworn enemies”? Hmm, wonder what “careful understandings” those would be. The Oslo Accords? And which “former sworn enemies” ? Hamas? Hezbollah? Arafat? Of course, in the labyrinth of contorted rhetoric and distorted polemics that comprise the political discourse in/on Israel, “peace” is no more than a code-word for Israeli capitulation to Arab demands, and the “peace process” an encrypted synonym for “Israeli withdrawal”. Accordingly, when Obama lauded Peres in his eulogy, declaring: “…he understood the practical necessity of peace. Shimon believed that Israel’s exceptionalism was rooted not only in fidelity to the Jewish people, but to…the precepts of his Jewish faith:. ‘The Jewish people weren’t born to rule another people’”, the allusion is clear: To achieve peace Israel must withdraw from the ancient homeland of the Jewish people. As if Arab or Muslim enmity began only in 1967, and the desire to annihilate the Jewish state was fueled only by the “occupation” of Judea-Samaria, and not by an implacable Arab refusal to countenance any expression of Jewish sovereignty in any territorial configuration whatsoever. Then of course there was famed author, Amos Oz, the ever-eloquent “oracle” of the obsessive dovish-left, who in a 2000 Haaretz interview promised: “The minute we leave south Lebanon we will have to erase the word Hizbullah from our vocabulary, because the whole idea of the State of Israel versus Hizbullah was sheer folly from the outset. It most certainly will no longer be relevant when Israel returns to her internationally recognized northern border”. Of course, the realities today, long after “Israel return[ed] to her internationally recognized northern border” and the bloody 2006 Lebanon War, demonstrate just how wildly inaccurate Oz’s prognosis was, proving he is far more adept in the world of fanciful fiction than that of cold political realities. In his grave side eulogy, Oz proclaimed that despite naysayers who believe peace is impossible “peace is not only possible—it is imperative and inevitable”. But then he elaborated with a simplistic—the less charitable might say “puerile”—analogy, which revealed that what Oz envisaged was not really a harmonious peace, but (unsurprisingly) Israeli withdrawal and separation from the Palestinian-Arabs. Relating to the Jewish homeland as innate real estate he declared: “Since Israelis and Palestinians cannot suddenly become one happy family, there is no alternative to dividing this house [Israel] into two, and convert it into a duplex building”. Of course nowhere in this silly, shallow analogy is there any reference to the fact that “their” apartment will abut a hostile Islamist neighborhood, whose belligerent inhabitants are very likely to turn it into a base from which to launch deadly attacks against “our” apartment and its vulnerable tenants. Convinced with cult-like conviction—despite all the evidence to the contrary—of the absolute truth of his ideological creed, Oz pontificated dogmatically: “In their heart of hearts, all sides know this simple truth. Where are the brave leaders who will stand up and make these things a reality? Where are Shimon Peres’ successors?” Indeed, one can only marvel, with stunned amazement, at this callous (or is that masochistic?) nostalgia for “successors”, who will lead us back into the horrors of charred buses, mutilated bodies, and bombed cafes that were the hallmark of the Oslowian “peace-process” that Oz perversely yearns for. This call for “brave leaders” was echoed in a particularly inane and incoherent article by Lior Ackermam, titled “Wanted: Two courageous leaders” in the Jerusalem Post (see introductory excerpt), which since the departure of Steve Linde, seems to have adopted a dramatically more Leftist (and anti-Netanyahu) line. I guess he must be unaware of Ehud Olmert’s wildly concessionary offer to Abbas in 2008, which the latter flatly rejected. Or the unreciprocated steps Netanyahu took, cutting sharply across the grain of his political base, to coax the Palestinians back to negotiations: The building freeze in Judea-Samaria; the release of convicted terrorists with “blood-on-their-hands”; the implicit agreement to have the pre-1967 borders serve as a point of departure for negotiations. Instead, allow me to conclude with the buffoonish comments of Haaretz’s Gideon Levy. In a delusional piece(Oct.2 2016) , titled “Shimon Peres' funeral proved that anti-Semitism is dead” (see introductory excerpts) he wrote : …on Friday, the world proved that what it really wants is to embrace Israel. Oslo, the disengagement and Peres were enough for the world to carry Israel aloft…But Israel repeatedly bites the outstretched hand, pushes the world to detest it…” He added: “every Israeli could be proud of being Israeli and not have to hide it out of fear and shame. How much Israel’s fate is in its own hands depends on its behavior. If it wants, it can be admired. So, dear Israelis, there you have it - the world according to Gideon Levy. All you have to do to be admired is to endorse fatally flawed and failed formulae that leave your streets strewn with dead bodies and the world will love you. As Alice in Wonderland sighed: It would be so nice if something would make sense for a change. In Israel too! !